Accumulators can be a good way of making money from football betting, with potentially big pay-outs if you can accurately predict the outcomes of multiple football matches. They are a hugely popular way to bet on football matches particularly on the major match days, when multiple games are being played. But what are football accumulators? Where can you place a football accumulator bet? What are the advantages and disadvantages of a football accumulator? And what do you need to know if you want to get the biggest rewards from your football accumulator? A football accumulator – sometimes referred to as an ‘acca’ is a single bet on the outcomes of several different football matches, most commonly on the match result (home win, away win or draw). Other common types of football accumulators include several ‘both teams to score’ (BTTS) selections in a single bet. An accumulator covers two or more selections, though a bet of two selections is more commonly referred to as a double and three selections is a treble. The odds are, generally, much higher than smaller selections and as a result the potential winnings are higher too – but greater reward, of course, comes with greater risk. To win on a football accumulator, all of your selections must win for you to receive a payout [though you may be able to ‘cash-out’ early – see below]. If you select a four-team accumulator, backing four teams to win, all four teams must win or your payout will be zero. A football accumulator works by combining the odds of several selections, in order to enhance the odds available from a single stake. Rather than place several smaller bets, an accumulator wraps them into a single bet by multiplying the odds of each bet together. This will result in greater rewards for the punter in the form of enhanced odds (and increased potential winnings), however the risk is also greater – if you place several smaller bets, you will still receive a payout on your winning selections if one loses, whereas with an accumulator you will receive nothing if just one selection loses. The primary reason to bet on football accumulators is for the enhanced winnings available if your selection wins. If you were to place three single bets on three separate matches, the potential payout will be less than if you were to place the same three bets on a single accumulator. The greater reward available means an accumulator is an increasingly popular way to bet on football matches, and most bookmakers will supply pre-selected accumulators to select on major match days. It is common for these to be available with promotional odds and price boosts too, increasing the potential rewards even further. You can also tailor your accumulator by selecting multiple bets of your own, rather than choosing from a pre-selected accumulator. If you were to place three single £10 bets on the three home teams to win, your stake would be £30 and your potential pay-out, including your stake back, would be £90 (so a profit of £60). If, however, you were to place a treble, selecting the same three teams – A, C and E – the potential payout from a £30 stake would be £810 (so a profit of £780). You can even reduce the stake to £10 and still earn a potential profit of £260. This is calculated by multiple the odds of each bet together – if you bet £10 on Team A to win, and they do, your payout would be £30. That payout is then used as your ‘stake’ for Team C to win. The £30, at odds of 2/1, would mean a £90 payout if Team C win, which is then used as your ‘stake’ for the final bet on Team E to win. A £90 bet, at 2/1, would give a payout of £270 if successful, so a £260 profit on your original £10 stake. The difference comes in the risk, however – if Team A and Team C win, but Team E and F draw, then your three single bets would still return £60 for the two successful bets (so a £30 profit). The accumulator, however, would have lost – your payout would be zero. Placing a football accumulator could not be simpler – simply go to your preferred bookmakers website and add your selections to your betslip. Once you have done that, your betslip will show the possible bets available, with the odds for an accumulator automatically calculated. Football accumulators are available on a range of different bets, including match outcomes and both teams to score, or a combination of both. You do not need to select all of your games from the same competition, or even in matches played on the same day. You can tailor your bet however you like. If you want to bet on three Premier League matches, a Bundesliga game and a match from Serie A then the choice is yours. You can often cross sports if you like too – your accumulator is not limited to football matches. While it can be tempting to simply rack up the odds on your accumulator bets in order to maximise your potential profit, the fact is that the higher the potential reward, the less likely it is to come off. A smaller accumulator is likely to win more often, even if the potential payout is less. You have to remember, that any payout is still a profit on your original stake and balance risk and reward as best you can. You need to study team’s form before you make your selections – if a team has won several of their recent matches then they would be a solid pick for your accumulator, and likewise if their opponents have lost a lot of matches recently. You also need to consider their home and away form – in the 2016/17 Premier League season, for example, Burnley won 10 of their 19 home games, but only one of their 19 away from home. Tottenham were unbeaten at White Hart Lane, winning 17 of their 19 home games, but they only won nine of their 19 away matches. While the league table can be a good guide, it can also be deceiving – going back to the 2016/17 Premier League season, West Bromwich Albion comfortably finished tenth but won just one of their last ten matches. It is important to consider what is at stake for the team too – look at Manchester City’s team selection for the final round of Champions League group games during the current 2017/18 season, for example. With a weaker team out, City – who had won five of their previous five matches to guarantee they would finish top of the group – lost to Shakhtar Donetsk, who had to win the match to ensure they qualified, and so picked their full-strength team. City went into that game as comfortable favourites, but would have bust many accumulators as a result of their defeat. A final thing to consider is previous results between the two teams. One extreme example of where this could be important is Nottingham Forest vs QPR in the EFL Championship. QPR have not won at Nottingham Forest’s City Ground in 34 attempts, and have lost 29 times in the league at Forest. While injuries, form and other circumstances could come into reckoning on the day, the previous results should warn you against backing QPR to win away to Nottingham Forest. Football accumulators, as we have mentioned, do not just have to be placed on the match outcome (home win/away win/draw) either. You can bet on both teams to score (or not) in multiple matches too. Look for teams who keep a lot of clean sheets, for example, and again study who scores or concedes more when they are playing at home or away. Going back to the 2016/17 Premier League season, for example, Tottenham had both the league’s best attacking and best defensive record, scoring 86 goals and conceding 26. At White Hart Lane, they conceded just nine goals in 19 games and in only seven of those games did both teams score. Away from home, however, 11 of Tottenham’s 19 matches saw both teams score – the third-highest record in the league. When picking which type of accumulator to place, it again comes down to balancing risk and reward – betting against both teams to score in both halves in several games is much more likely to come off, but the rewards will be minimal. Selecting a 14-fold accumulator, on the other hand, backing the away team to win in all 14 matches, will return huge odds, but the chances of such a bet winning are extremely low. An accumulator with a mix of safe bets and slightly riskier picks will return reasonable odds, with a greater chance of winning. While to win on an accumulator you need all of your selections to win, you can also turn a profit – or at least make some of your stake back – by ‘cashing out’. If you are following your bets live, the ‘cash out’ option is commonplace with online bookmakers – it will often tell you whether ‘cash out’ was available when you placed your bet too. If you want to cash out, simply find your open bet and follow the ‘go to cash out’ option. Depending on how your selections are going, the cash out figure could represent a reasonable profit or would be a case of cutting your losses. Understandably, bookmakers do not want you to cash out early – especially if some of your selections are losing – so do not be surprised to find the payout is much less than your potential reward if all of your selections win. Good times to cash out include if you have placed an accumulator covering games over several days, and you are waiting on the result on just the last leg. The ‘cash out’ price will often be reasonably high, so you have to weigh up whether you would be more disappointed to lose out on a bigger payout or for your final leg to lose when you turned down the chance of a good profit. You will always get better odds if your bets are winning going into the later stages of matches – if you can, try and assess how the games are going. If one of your bets is currently winning, but a team is only one-goal up and the opposition has thrown on three strikers and are laying siege to your team’s penalty area, you might want to cash-out to avoid the sinking feeling of a last-minute, coupon-busting equaliser. You might also want to cash out if the reward offered is still reasonable, and you have just discovered team news that has reduced your confidence in getting a payout. Consider the Shakhtar Donetsk vs Manchester City game above – if you were waiting on the result of that match, having been successful with bets the previous day and backed City to win, then you could have saved yourself a loss by cashing out when the team news was announced. Be warned though – leave it too late, and the cash out option might not be available. Bookmakers will often withdraw the cash out option late in the game, and likewise on the back of a penalty decision or red card. Acca Insurance is a relatively new promotion being offered by an increasing amount of bookmakers, to protect your money in the event that just one of your selections fails. William Hill offer your stake bet in free bets if you lose on just one selection in a five-fold (or greater) accumulator. If you backed five home wins, and four won but the final team drew, you would receive your money back as a free bet. Betfair, on the other hand, refunds your stake in cash using their ‘Acca Edge’ tool. You can add ‘Acca Edge’ to marked eligible bets, which reduces your odds accordingly but will ensure you get your stake refunded if one leg lets let you down. It is scant consolation for knowing you were just one result away from a potentially big payout, but it’s better to get something than nothing. 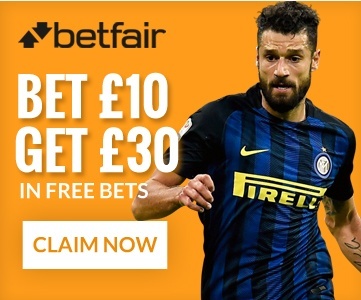 As mentioned above, many bookmakers will also offer an Acca Bonus (or enhanced odds on specific accumulators) – for example, Betfair will boost odds on an accumulator for new customers. 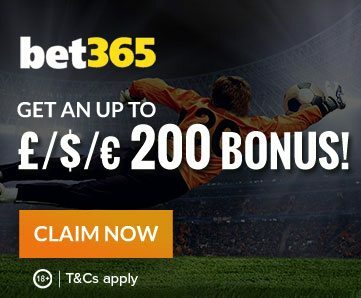 Others will provide price boosts on pre-specified accumulators, while some bookmakers will still allow you to tailor your odds providing you stick to one specific tournament. It is always worth checking around to see if you can get a bonus on top of your selection, and increase your potential payout without increasing the risk at all. Bonuses are more commonly available on pre-match bets, rather than in play. Where can I place An Accumulator?